At Without Limits Health & Osteopathy Our highly skilled professionals are dedicated to providing our patient’s with knowledge and tools to succeed in living a healthy well balanced life, to be Without Limits. Tension is the result of something being stretched, strained or put under pressure. 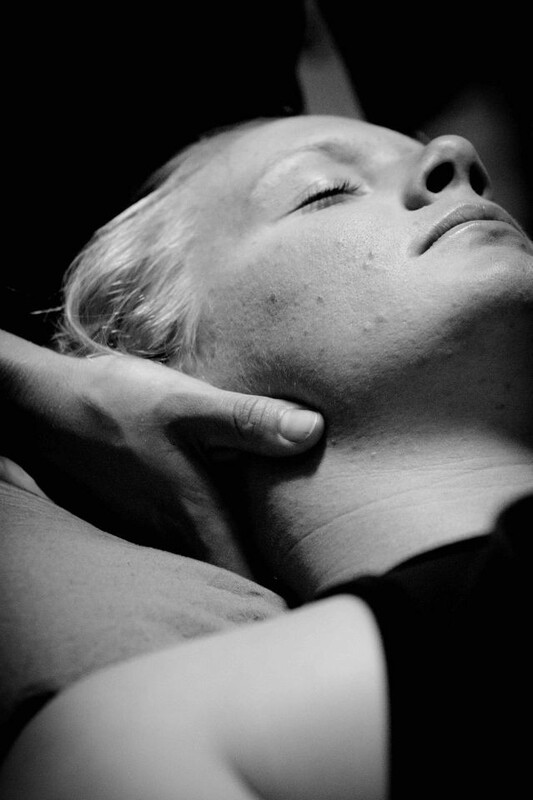 In our bodies this relates to tight muscles and can lead to tension headaches. Tension can build up in our bodies over time starting with a bit of tightness in our hamstrings, perhaps it moves on to the middle back until it eventually creeps up into the neck and shoulders, if you are very tense you might find yourself grinding your teeth at night and waking up with a headache in the morning. We all know that tension is what causes tension headaches, hence the name; but what are the forces that cause tension in the first place? And how do we avoid that dreaded ache in our heads? Tension comes for the latin word Tendere and has multiple meanings in different contexts. 3- Apply force to something which tends to stretch it. There are many variations in the meaning of the word tension depending on the context in which the word is used. The first meaning is pretty straight forward and to be expected. The second meaning changes the way in which we approach a tension headache and to some extend so does the third. So how does mental/emotional/social or political strain effect how we hold ourselves? You see it isn't just the muscles that hold tension, remember the muscles are an extension of the mind and vice versa. Have you ever walked in to an office after two colleagues have been fighting and could feel the tension in the air? Immediately your body responds to what you feel and you tense to guard yourself automatically without a conscious thought. The same occurs when you are learning a new language and your trying to hold onto a concept or remember those French verbs. Your body strains to remember something or tightens to hold onto something, even if it is just holding on to a thought and not an object. This can be related back to highly stressful jobs where you are expected to multitask, what tension are you holding in your body trying to remember all the things you need to stay on top of in the workplace throughout the day? This can be also related back to offices where there are relationship/cultural strains, how do you feel when you walk into your workplace, is it a relaxing place where you feel safe? Or can you cut the tension with a knife? Is the office so busy and stressed that it feels like everything is bursting at the seems? Sometimes the pressure isn't like pulling a rope or a muscle, sometimes pressure is an external force that we cannot see, like deadline pressures. It is still pressure and every person responds differently to those external forces depending on perception. Perception is relative to what is going on around you and inside you. Your perception is influenced not just by what happens at work but at home as well. Tension can build up in different ways as a result of different perceived pressures. Something that you perceive as pressure might not be perceived this way by a colleague and vice versa. It is important to acknowledge these differences between colleagues within the workplace and have compassion towards your colleagues because you never actually know what pressures someone is under unless you communicate with compassion. Pressure is not just confined to the external, it can arise internally as well from how well you treat yourself by eating the right foods, allowing enough sleep and by participating in activities to decrease stress levels. If stress does get on top of you at times and you find yourself eating all the wrong foods and not sleeping this can also add to the pressure you feel. Another aspect to consider is how kind you are to yourself? Is your internal dialogue hostile or is your internal dialogue kind and nurturing? A good test of this is to ask yourself if you would speak to a close friend the way in which you speak to yourself? All of these facets of life add to the “perceived pressures” that we all face in our daily lives and contribute to tensions that we hold in our bodies and in our minds that can build up over time and present as a tension headache. In the workplace be mindful of your colleagues perceived pressures and perhaps cut them some slack, because when you offer support within your team then tensions can be eased and perhaps tension headaches can be managed and prevented. Constant tight sensation around the head near the temporal bones usually felt on both sides of the head and neck. To manage and prevent tension headaches make sure that you stretch regularly, exercise, nourish your body with good food and good thoughts. It is the little things that make the biggest difference over time. Friday, 25 May 2018 Fast Track Your Recovery!